We happily provide information on our background and philosophy. 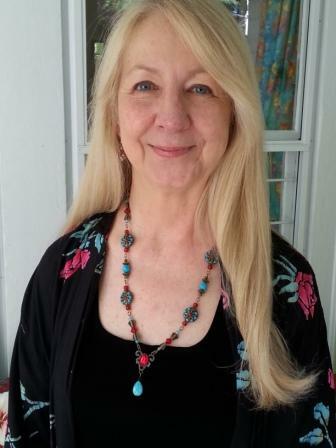 Please see below or to the left for links to an Atlanta Journal-Constitution article about some of Cate's work, a USA Today article featuring our work and students, and for a link to a Web MD article on T'ai Chi and Arthritis on which Cate is the primary source. Thank you for your interest, and please feel free to contact us for further information regarding our credentials or our other T'ai Chi instructors. Cate Morrill began her training in 1988, and has been teaching since 1995. As the director of Rising Phoenix T'ai Chi and the president of Shoulders Down, Inc., Cate spends her days teaching in her studio, around Atlanta, and across the country. She is involved with teaching the PT Doctoral candidates at Emory University how to use T'ai Chi and Qi Gong in their physical therapy practice, and was filmed in 2009 for a CNN Healthminute on T'ai Chi. She has taught at Johns Hopkins University, Emory Universtiy, her work is taught at the University of Nebraska Medical Center in Omaha, and she has traveled around the country to teach students, to teach teachers, and to speak on T'ai Chi benefits. She has been the instructor on three NIH T'ai Chi grants, and has taught populations such as the office employees at Coca Cola World Headquarters, the clients at Meadowbrook Head Injury Institute, the staff and clients of the Center for the Visually Impaired, the staff at the Atlanta VA Medical Center, senior citizens and, of course, strong, physically well and challenged "everyday" people--singers, songwriters, artists, teachers, moms, dads and their children. She is a Certified Wu Dang T'ai Chi/Qi Gong Instructor (Wu Dang is the mountain temple where T'ai Chi originated and whose training was made famous by the movie, "Crouching Tiger, Hidden Dragon"), and she has completed External Qi Healer training (energy balancing). She has created audiotapes for the visually impaired and videos on T'ai Chi, one for Seniors and those who need a gentle and simple exercise program, Movement Improvement T'ai Chi R, and one for Parkinson's Disease patients, sponsored by an international company, and has completed three series of television shows on AIBTV in Atlanta. She has appeared on WABC-TV in New York, and on more than 24 TV stations across the country live or by video, such as on a Public Television program discussing T'ai Chi’s benefits, as well as on “Healthwatch with Marc Pickard,” a program of Atlanta local television station WXIA. Cate is the first named source on an article on Arthritis and T'ai Chi on WebMD, (link below) and was a guest speaker at the American Physical Therapy Association pre-conference seminar in 2005. Her work was featured in an article in the Atlanta Journal Constitution (link below) and she has trained physical therapists, doctors, nurses, t'ai chi teachers, yoga teachers and others around the country to teach her "Movement Improvement--T'ai Chi for Balance and Mobility" program. She speaks as requested to health care practitioners at seminars and workshops. 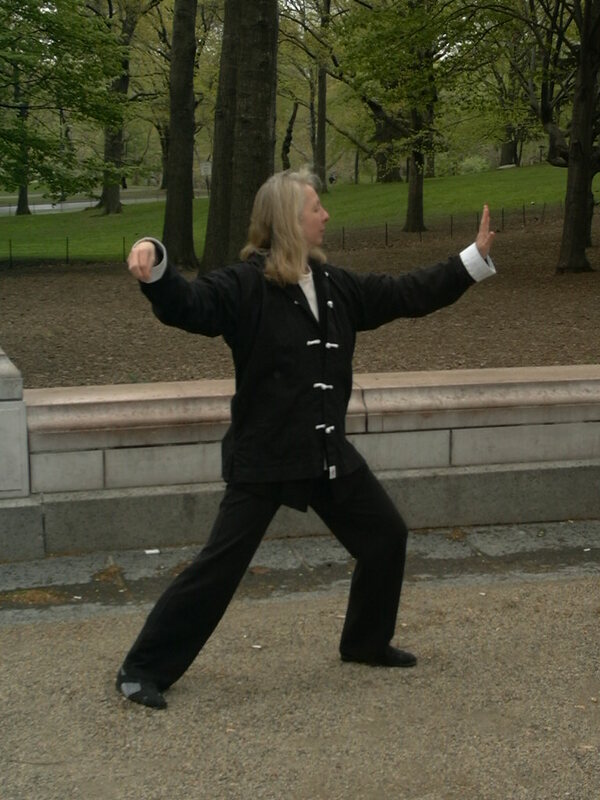 By practicing the internal martial arts of T’ai Chi, Qi Gong, Ba Gua and T’ai Chi Sword and studying anatomy, physiology, nutrition and exercise science, Cate brings a broad spectrum of knowledge and information to her classes. She has published articles on T’ai Chi and Qi Gong, and is writing a book, tentatively titled, “Shoulders Down—the Basics of T'ai Chi to Help You Enhance Your Everyday Life, Every Day”. The enthusiasm Cate brings to her classes is sincere and contagious. She welcomes all ages, body types and levels of ability. She believes deeply in the individual's ability and responsibility to create health, inner peace and abounding joy! Through laughter, silence, demonstration and example, she shares her knowledge of body movement and energy work freely. To read Cate's endorsement and bio from Master Chen's website, please click here. To contact Cate directly, please click here, thank you! 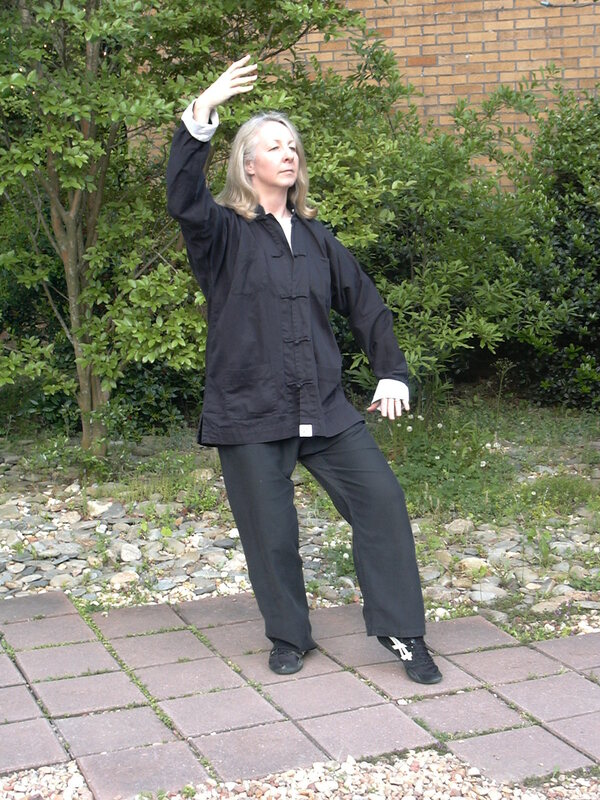 To read a WebMD article on TAI CHI AND ARTHRITIS MANAGEMENT in which Cate is the lead source, click here! Click here to read an ATLANTA JOURNAL CONSTITUTION article about our classes, A USA Today article regarding our work with Senior Citizens, and an AJC article on our work with PARKINSON'S DISEASE patients. For the entire resume', please contact Cate. 2003, Teaching Certification Approval to teach work and authorization as Atlanta Representative of Master Yun Xiang Tseng, Wudang Taoist Priest, T’ai Chi and Qi Gong Master, Chi for Longevity, Inc.
Extensive experience in the practice of using T'ai Chi and Qi Gong movements and theory in standard class settings as well as settings which support personal rehabilitation, physical development, and create mental focus, designing sets of work and plans for individuals and groups of special populations such as stroke survivors, Parkinson’s Disease patients, Multiple Sclerosis patients, cancer patients and caregivers, and those with visual impairments and more---Taught as instructor on three NIH grants using T'ai Chi---Speaker at National Aging in Place Conference----Guest speaker at 2005 National APTA pre-conference workshop on T'ai Chi and special populations---Provided talk on T'ai Chi and rehabilitation in 2008 for Emory First Year Medical Students Grand Rounds, and taught doctoral PT candidates full semesters in 2012, 2013---Taught at Johns Hopkins University, as a visiting instructor on T'ai Chi in classroom behavior management.---Worked with other hospitals with specific programs for special populations. 2002—2017 Master Yun Xiang Tseng: T’ai Chi 24 Movements, Wudang T’ai Chi Original 13 Movements, Wudang T'ai Chi 52 Movements, Wudang Square Foot T’ai Chi, Yang Square Foot T'ai Chi, Qi Gong Eight Pieces of Brocade, Qi Gong 15 Arm Movement, Qi Gong 18 Movement I and II, Wudang Shen Dian Qi Gong, Wudang Yang Sheng Qi Gong, Wudang Wu Xing Qi Gong, Wudang Internal Meditation, Wudang Walking Crane Qi Gong, Five Animal Qi Gong, Zhong He Gong and many other forms of Wudang and Taoist Qi Gong. 1995 –- 2003 Master Wei Lun Huang: Chi Kung, Incense Chi Kung, Ten Step Chi Kung, Yang 108 Move Long Form, Yang 24 Move Short Form, Pushing Hands, Ba Gua Ch’uan, Ba Gua Chi Kung, T’ai Chi Structure, T’ai Chi Applications, Rainy Day T’ai Chi, T’ai Chi Sword Form, T’ai Chi 13 Postures, and other Yang forms. April 2005, 2004 Presentation on T'ai Chi and Parkinson’s Disease, and demonstrations of the exercises in our video to those attending the Parkinson’s Unity Walk and Conference. 2004 Movements based on T’ai Chi principles and movements, adapted to be of service specifically for the needs of those with Parkinson’s Disease, as part of an information kit sponsored and produced through Novartis Pharmaceuticals, and made available free to patients, caregivers, healthcare professionals. 2003 The Shoulders Down Method—basic principles and movements, T’ai Chi and Qi Gong, that have proven successful in developing desired results in those who practice. This set is specifically chosen to enhance strength, flexibility, balance, concentration and understanding in a gentle, easy way, with accommodations for seated work as well. This video is stand-alone as well as part of the Teacher Training Program for Movement Improvement Instructors, and was designed and produced through Shoulders Down, Inc.
2003This video is designed as a teaching aid and information support for teachers in our program. It covers TC principles of body alignment, structural movement and more. This is not available to the public. 2003, 2004 This video is designed as a teaching aid and information support for teachers who have advanced to our Level 2 program. It covers deeper details on TC principles of body alignment, structural movement and more, and includes new and advanced movements to support continued development in the student. This is not available to the public. 2002, Audio series of Movement Improvement T'ai Chi Selections, Standard T'ai Chi 24 selections, and Qi Gong modified sets for instruction and practice purposes. Movement Improvement T'ai Chi ® Teacher’s Training Intensives Teacher’s Training on Movement Improvement T'ai Chi® for professional health care workers, PT’s, OT’s, RN’s, MD’s, MSW’s, and more, with intent to certify participants as community instructors. 2014, 2010, 2009, 2005, 2003 Rising Phoenix T'ai Chi Atlanta, Ga.
Disc Golf World Sports Magazine, Summer 2006 “ T’ai Chi for Disc Golfers” Article to assist the athletes with focus, stretching and strengthening, movement understanding. Media Tour, Miami, FL June 2004, 24 City Television News Show “Media Tour” live and video interviews regarding the Novartis Stepkit and T'ai Chi and Parkinson’s Patients Exercise Video. WABC TV, New York City Good Morning Show, NY April 2004, Live interview and demonstration of Parkinson’s exercises in conjunction with the annual Parkinson’s Unity Walk. WXIA TV, Channel 11 News, Atlanta GA November 4, 2003 Marc Pickard Health Report on Alternative Treatments, Interview and video presentation regarding T'ai Chi and Parkinson’s patients. July 9, 2008 and July 12, 2008 " Positive Thinking, Healthy Choices, Medical Literacy, Laughter, Gratitude = Life, Longevity & Happiness ...The Real Scoop on Keeping Healthy and Demystifying Medicine" Seminar, Invited Panelist, presentation on T'ai Chi and Health of Mind, Body, and Spirit with Neil Shulman, M. D. and Belinda Morrow Stinson-Head, Ph.D. These classes are taught by Cate Morrill, 22+ others are directed and managed by Cate and taught by our staff. A complete listing of those classes can be found on our website or by contacting us.